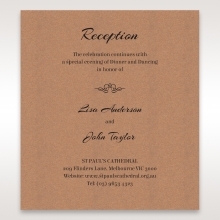 Here is a lovely floral invitation for a simple outside ceremony. 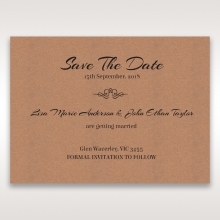 Are you planning a country wedding? 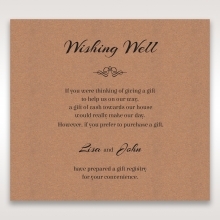 The clever design of this card is perfect for you. 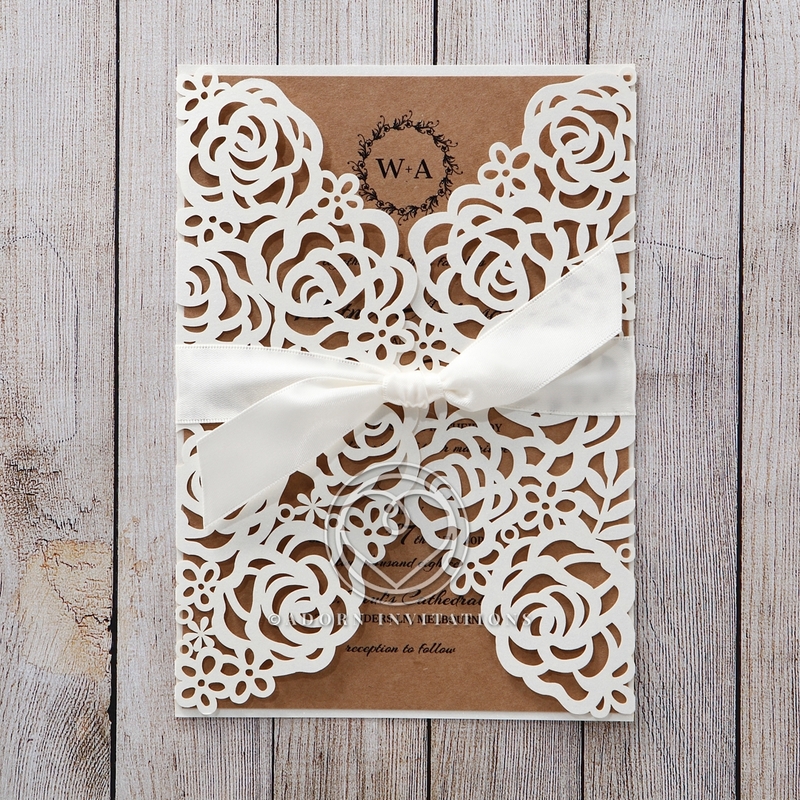 The roses that are laser cut into the gatefold of this invitation interlock when closed. The insert is made of craft paper and your customized monogram shows above the closed gates. 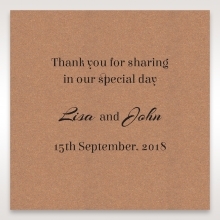 Once the insert is in place, the gates close and a pure white satin ribbon wraps the card. 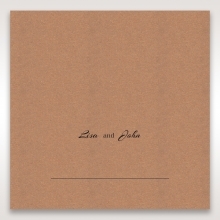 Your wedding details are printed on the insert in raised ink. The combination of white pearl paper for the cover and high quality craft cardstock for the insert make a beautiful card.